Environmental Biotechnology: A Biosystems Approach introduces a systems approach to environmental biotechnology and its applications to a range of environmental problems. A systems approach requires a basic understanding of four disciplines: environmental engineering, systems biology, environmental microbiology, and ecology. These disciplines are discussed in the context of their application to achieve specific environmental outcomes and to avoid problems in such applications. 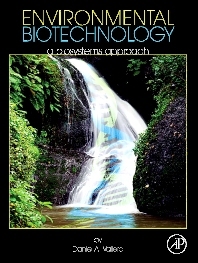 The book begins with a discussion of the background and historical context of contemporary issues in biotechnology. It then explains the scientific principles of environmental biotechnologies; environmental biochemodynamic processes; environmental risk assessment; and the reduction and management of biotechnological risks. It describes ways to address environmental problems caused or exacerbated by biotechnologies. It also emphasizes need for professionalism in environmental biotechnological enterprises. This book was designed to serve as a primary text for two full semesters of undergraduate study (e.g., Introduction to Environmental Biotechnology or Advanced Environmental Biotechnology). It will also be a resource text for a graduate-level seminar in environmental biotechnology (e.g., Environmental Implications of Biotechnology).